Shimmering lochs and sweeping glens, we’re off to explore the wild wilderness of Bonnie Scotland! Fall in love with the landscape on a leisurely cruise on the spectacular Loch Long & Loch Goil; the centrepiece of this fantastic five day break. Other highlights include a visit to Oban, Scotland's seafood capital. 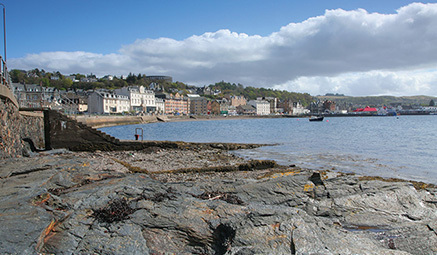 You’ll be based in peaceful Dunoon, where you can enjoy a stroll along the promenade, explore the historic pier and gardens, or simply sit back and watch the ever-changing seascape. 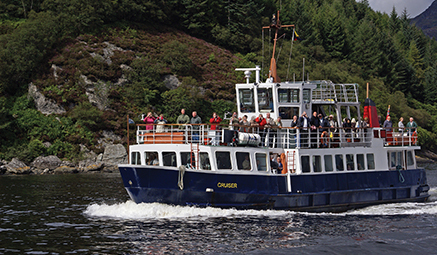 Two Lochs Cruise - Half Day - a spectacular cruise exploring the sheltered waters of Loch Long and Loch Goil. First we travel to Blairmore Pier on the outskirts of Dunoon to board the Clyde Cruiser. Experience the natural scenic beauty of the area as we sail into the heart of the Loch Lomond and Trossachs National Park. 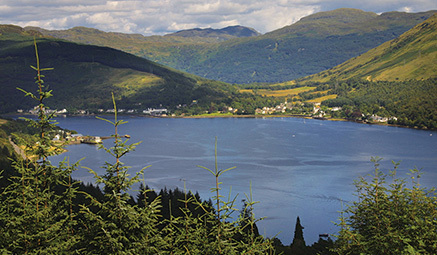 Enjoy the views of quaint lochside villages and steeply sided mountains forest clad from sea to summit. There will even be the chance to spot some of the unique wildlife, such as porpoises and dolphins that are not unusual in these waters. Sit back, relax and soak up the tranquil atmosphere from the promenade deck. Glendaruel & Tighnabruaich - Full Day - taking in the outstanding natural beauty of the Cowal Peninsula, from sea lochs to Highland hill and glen. We travel through dramatic scenery to Glendaruel, famed for its tranquil scenic beauty and nearby Kilmodan Church, housing a fascinating collection of medieval stones. Before travelling alongside shimmering Loch Riddon to Tighnabruaich, one of the most beautiful villages on the West Coast of Scotland and part of ‘Argyll’s Secret Coast’. Outward - via main roads and motorways, with a stop at the spectacular Loch Lomond Shores Visitor Centre, before heading to the hotel in time for dinner. Return - via main roads and motorways, dropping off late afternoon/early evening on return.